Stropping is the most effective way to complete a blade edge, it is also very satisfying! Once the blade angle is set with a ceramic or diamond sharpener a leather strop with a small amount of polishing or honing paste will attain that hair popping sharpness we all crave! The Knivegg Double Sided Strop allows you to do this in two stages. Firstly the suede, heavier textured side will smooth, whilst the second finer, leather side will give you that microscopic cleanliness. This is the perfect tool to obtain a shave sharp edge. 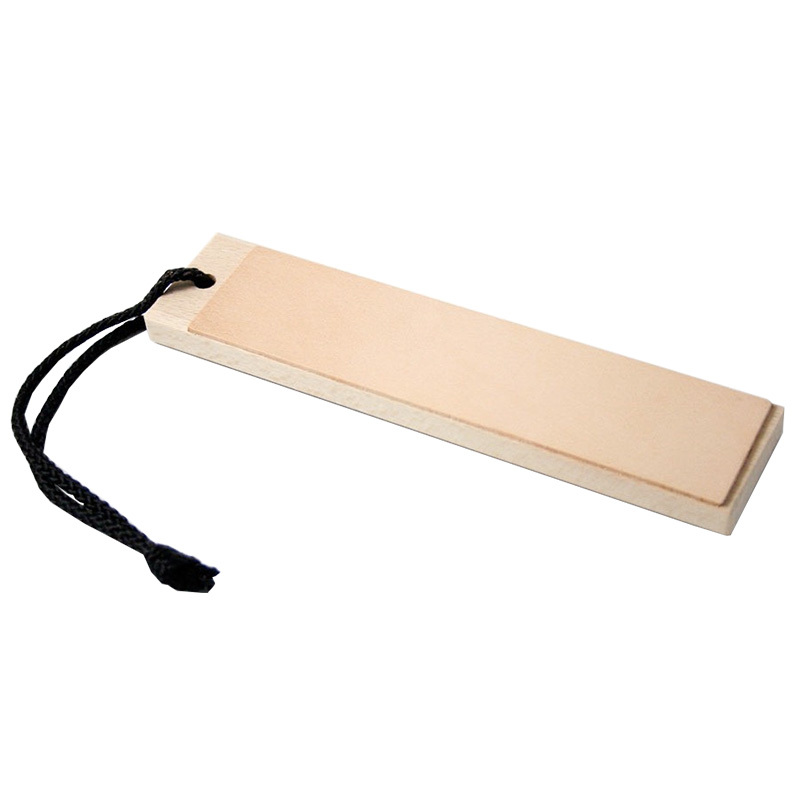 When charged with a quality honing compound the strop becomes a Honing Strop that has the potential to keep all of your cutting tools in tip top razor sharp condition for extended periods of time, before the need to re-sharpen them on a sharpening stone.